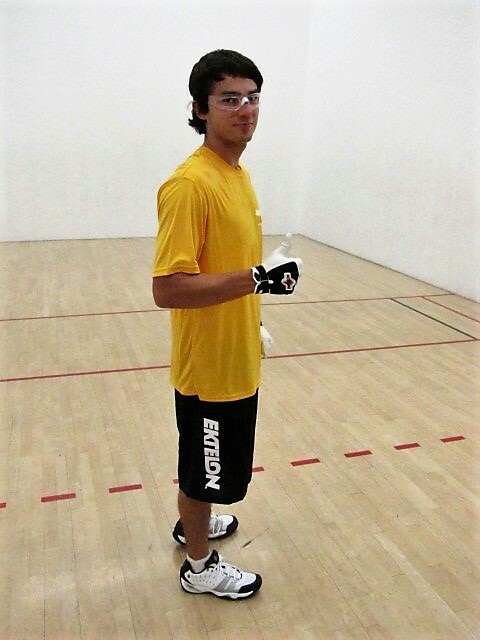 Tucson, AZ- Luis Moreno was honored on Friday night with his first and second yellow Jersey for defeating David Chapman in Kansas City at the WPH/Ektelon FBC KCAC Pro Stop and his recent win at the WPH/Ektelon FBC Watsonville Doubles with partner Tommy Little. Little will be receiving his Yellow jersey in Vegas, as partner Moreno is expected to team back up with the Midwesterner during the FBC/Ektelon WOR/WPH 3-Wall Ball Outdoor Championships later this month. David Chapman, Willie Polanco and Megan Mehilos received their jerseys for the inaugural WPH/Ektelon FBC in Tucson, AZ, last April. WOR/WPH World 3-Wall Ball Championships; where the WPH will give winners of all pro divisions their official pro tour yellow jersey (with name on back).